It’s time once again for March’s edition of Virginia Wine Chat. This #VAWinechat took us to Purcellville in Loudon County Virginia and Breaux Vineyards. This month our host Frank Morgan of Drink What YOU Like was joined by Breaux’s winemaker Heather Munden and Jennifer Breaux Blosser, the general manager at Breaux. If you would like to watch the fun and informative Ustream video featuring Breaux Vineyards you can access it here. 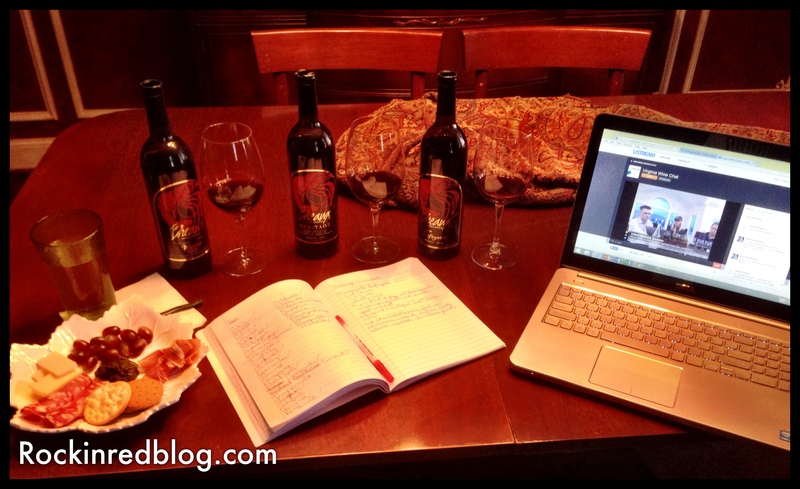 Breaux Vineyards was so gracious to provide three exceptional wine samples for our virtual tasting. Marquis de Lafayette 2013 Cabernet Franc: This 100% Cabernet Franc poured a gorgeous velvety violet into the glass and met the nose with rich aromas of berries, spice, violets, eucalyptus and a deep earthiness that jumped right out of the glass. On the palate this smooth and round Cabernet Franc offered rich fruit flavors of black raspberries, blackberries, red cherries and currants wrapped around a back bone of earthiness including leather, smoke, tobacco leaves, espresso, herbs, pepper and licorice with a touch of vanilla on the back of the palate. This wine was lush, smooth and very well-balanced with ripe acidity and round tannins that offer a long finish and full mouth-feel. This was a beautiful Cabernet Franc and I thoroughly adored it. I believe Virginia wineries are really rocking Cab Franc; Breaux’s Cab Franc is a beautiful illustration of this fact. 13.8% alcohol; aged 9 months in American and French oak; SRP $32. 2007 Meritage: This wine was crafted from 42% Cabernet Sauvignon, 25% Merlot, 18% Malbec, 10% Petit Verdot, and 5% Cabernet Franc. It poured a soft garnet with scarlet highlights into the glass and met the nose with a bouquet of black cherries, chocolate, spice box, smoke and leather. On the palate this gorgeous wine delivered elegant flavors of blackberries and plums with baking spices, cassis, leather, mocha and licorice. It offered a lush mouthfeel with elegantly balanced acidity and tannins. It was smooth and silky on the palate with a lingering finish that begged for another sip. 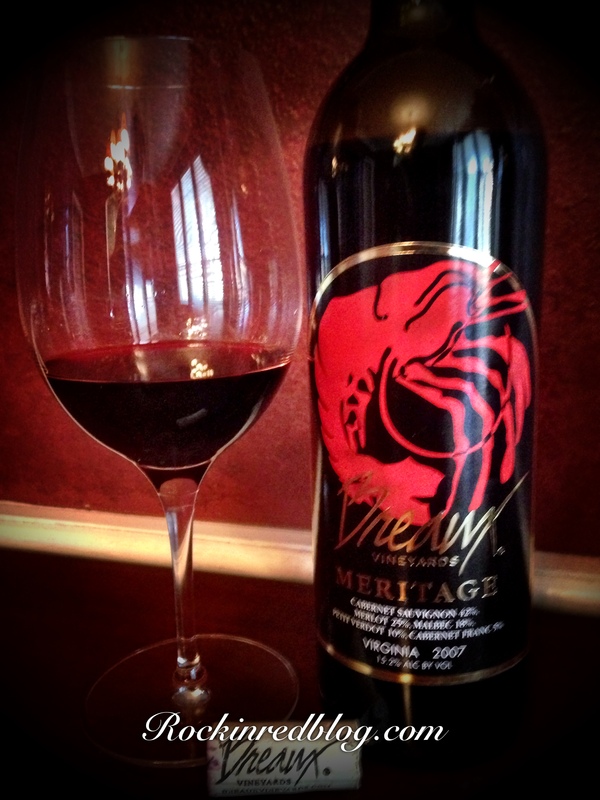 This was a well-aged, beautifully integrated Meritage. Each grape was aged separately in a variety of barrels then blended in the bottle. 15.2% alcohol; SRP $48. This was an exquisite wine. 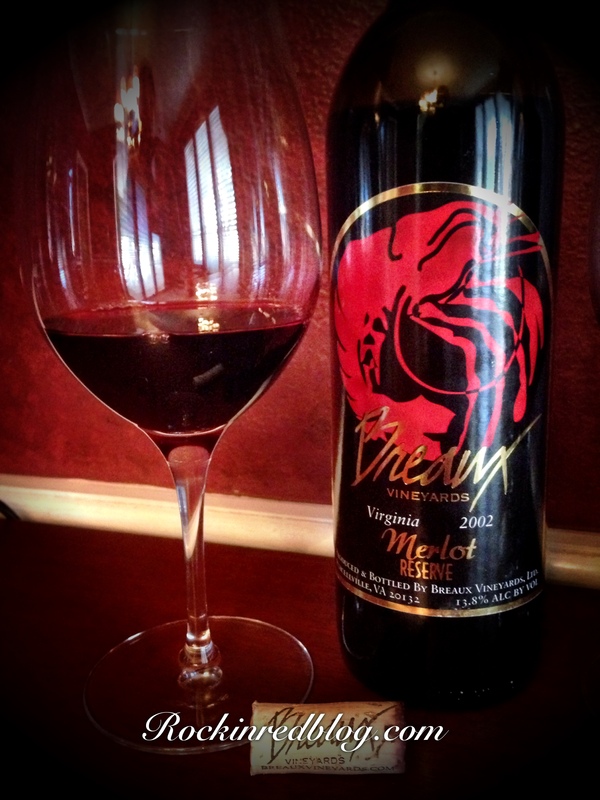 2002 Merlot Reserve: The final wine of the tasting was quite a treat; this wine poured a fresh garnet with scarlet highlights and an orange rim. This 13 year old wine offered lively aromas of fruit and spice and delivered those flavors on the palate. This Merlot was very smooth, silky, and still developing at its age. It had lots of flavor with a rich, round acidity, silky tannins and a lingering finish of lush earthy notes. This wine would pair well with food but also a great to enjoy as a meditation wine. 13.8% alcohol. This wine is not available for sale on Breaux’s web site; however, it offers a great representation of the quality and age ability of the wines produced by Breaux Vineyards. 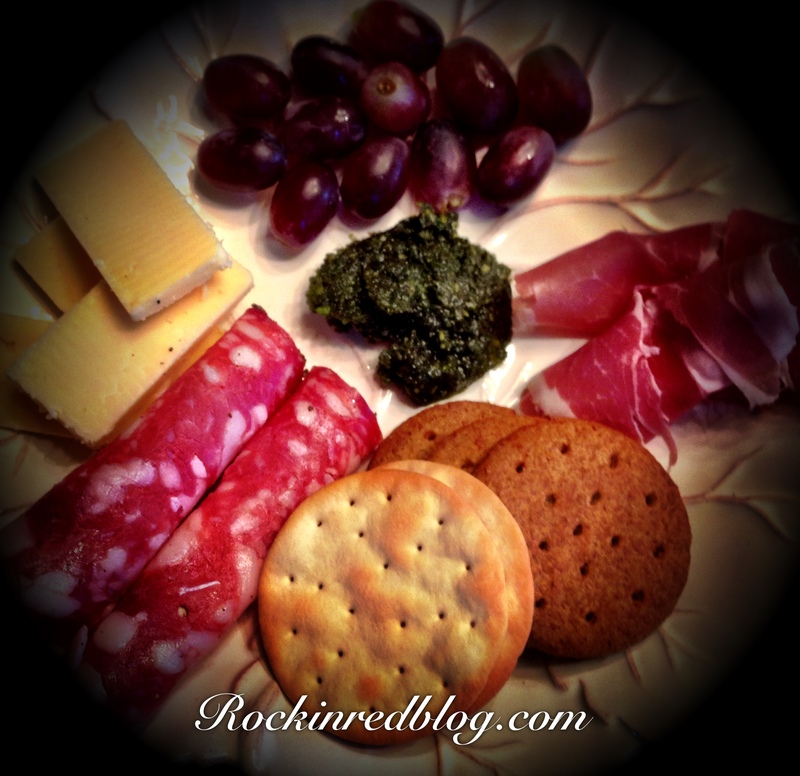 As I tasted through these wines I enjoyed a cheese and charcuterie plate with sharp cheddar, prosciutto, hard salami, crackers, pistachio pesto and grapes; simple yet delicious. The wines paired beautifully with each of the munchies but the pairing that stood out the best was the peppery hard salami with the 2007 Meritage; the pepper in both married beautifully on the tongue! The wines would also pair well with beef, lamb and pork prepared in a variety of ways. 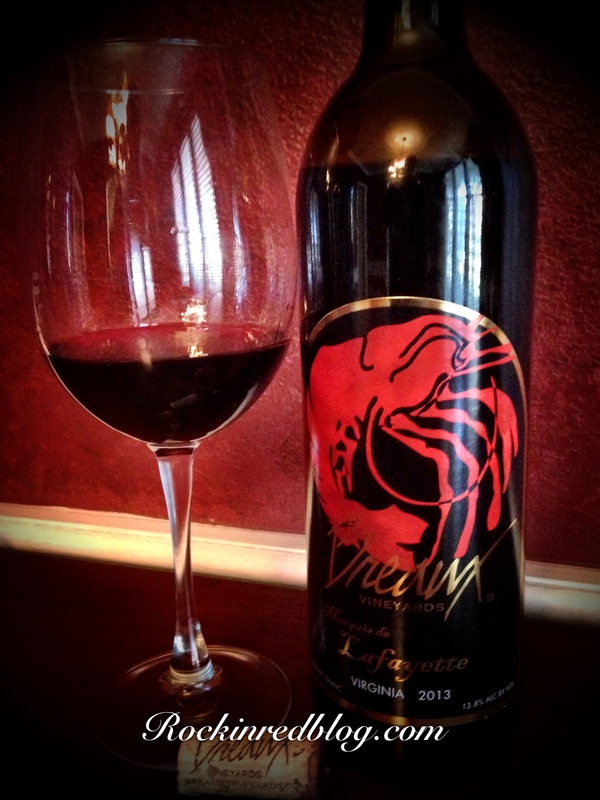 A few fun facts about Breaux Vineyards: First, you will notice the label; Breaux is a Cajun owned winery and vineyard so the little fella on the label is known as a “Mud Bug.” Depending on where you live you may recognize it as a crawfish but in Texas, and most of the south, especially Louisiana, we call them Mud Bugs! Out of 105 acres under vine at Breaux, 65 acres are dedicated to Merlot, 29 acres Cabernet Franc, 26 acres Cabernet Sauvignon and 17acres Petit Verdot, the rest are a mix of other grapes. Cabernet Franc grows so well in Virginia overall and Breaux in particular because Virginia has less total quantity of heat units than the west coast resulting in Cab Franc has a shorter growing season so it ripens faster. YUM! Breaux’s elevation ranges from 680 ft up to 1000 ft above sea level; the Nebbiolo they grow is at their highest elevation. Finally, Breaux produces 10K – 12K cases of wine annually, selling over 75% of their wine out of their tasting room. 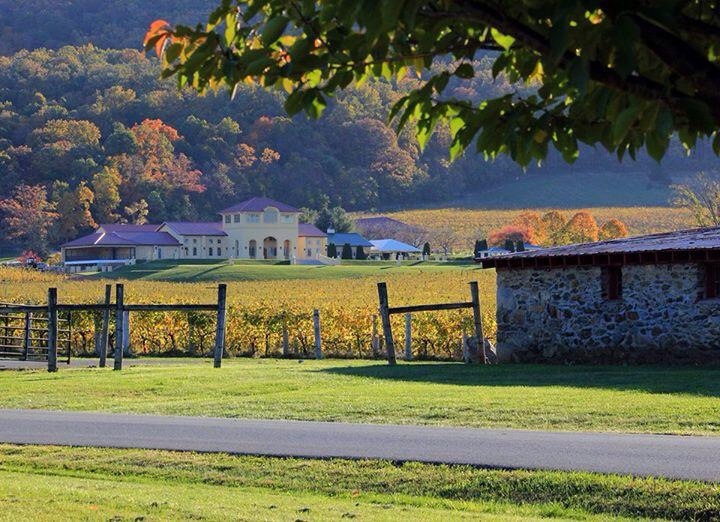 From Breaux Vineyard’s web site: Breaux Vineyards is an internationally acclaimed winery located in Purcellville, VA. Their 404 acre estate has over 105 acres planted in 18 different grape varieties. The vineyard is nestled between the hills and the vineyard plantings extend up the Short Hill Mountain. Long vistas of the Blue Ridge Mountains can be enjoyed from their tasting room, patio, and landscaped terraces. In the process of a major expansion, Breaux is now home to extensive events facilities and plans to open an expanded tasting room, wine education classroom, and wine club area in late 2014. 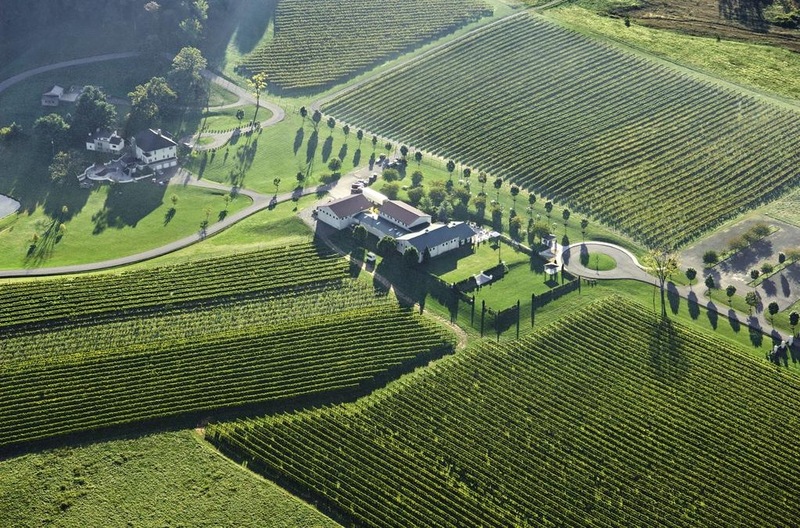 They have been voted Virginia’s “Favorite Winery” consecutively for the past three years. They are located only an hour from metropolitan DC, Dulles and BWI airports and a short distance from historic Harpers Ferry, WV. And a bit about Winemaker Heather Munden: Heather began her career in wine after a meeting with Robert Mondavi. “His passion for wine was infectious…and I was hooked,” she recalls. “I grew up on a large ranch and loved raising and cooking my food. The passion I found for flavor naturally led me to a passion for great wine.” Heather, who most recently held the prestigious title of Artisan Winemaker at St. Francis Winery & Vineyards in Sonoma, CA, brings with her more than 20 years’ experience producing ultra-premium wines around the world. 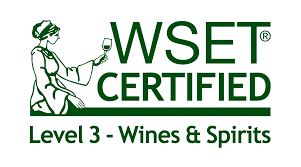 Since earning her degree at the University of California, Davis she has garnered critical acclaim for her wines, with nearly 20 wines ranging from 90 to 95 points from Robert Parker, Wine Spectator, Wine Enthusiast, and Wine and Spirits magazines. From Australia to Italy and New Zealand to Chile, where she was winemaker for renowned Viña Errazuriz, she kept her focus on producing balanced wines that are expressive of the vineyard. 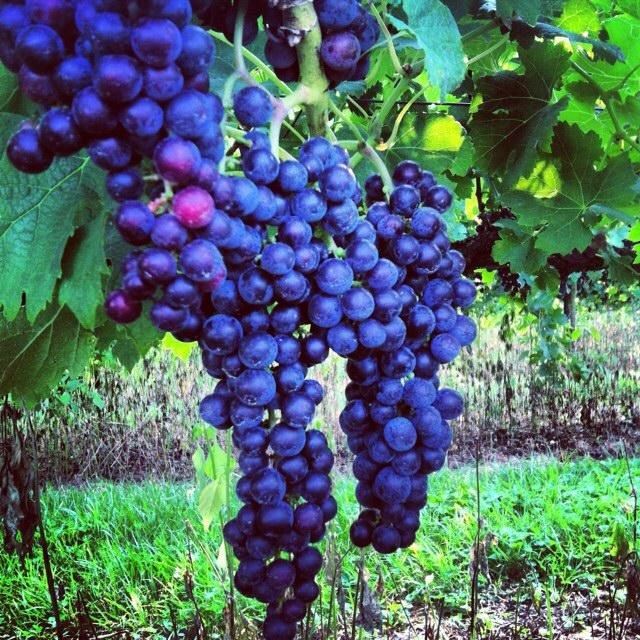 Merlot grapes growing in Breaux Vineyards. 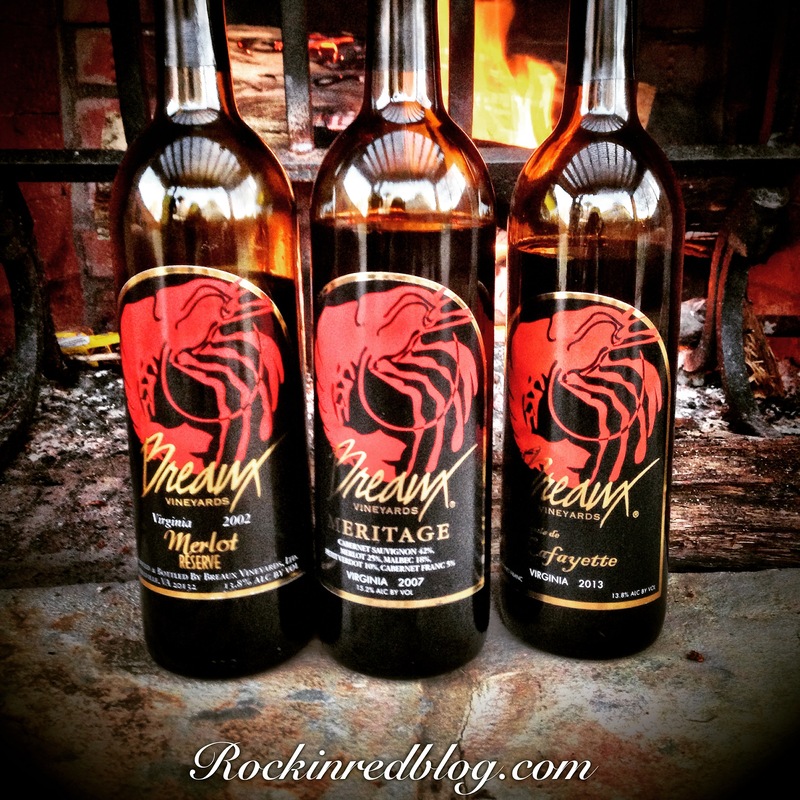 The night after #VAwinechat we invited some friends over to share the Breaux wines with them. They are oenphiles and love good wine. It was their first time having Virginia wines and they thought the Breaux wines were exceptional! 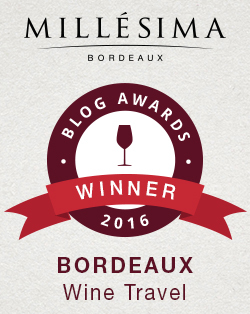 I encourage you to visit Breaux Vineyard’s web site to learn more about the winery, view their entire portfolio of wines and order these wines today! 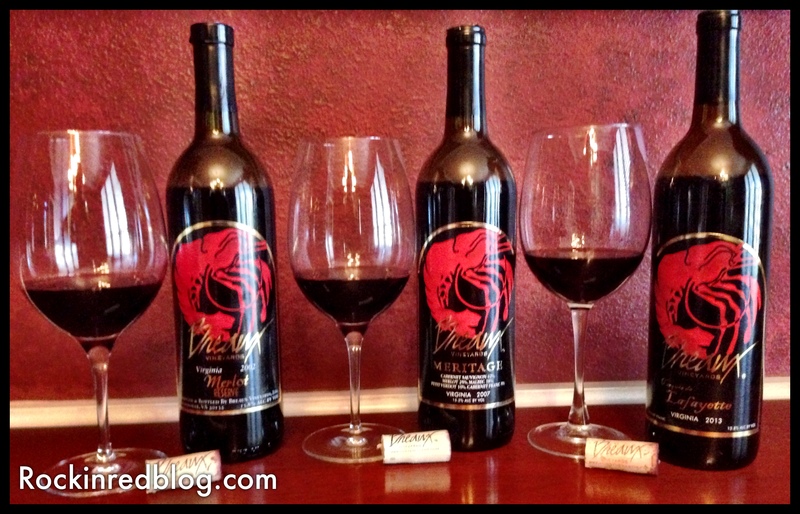 My Song Selection: All three of the Breaux wines were silky smooth with lots of rich, rockin flavor and great balance. Additionally the general manager and winemaker are both spunky, hard working women and I want to honor that in my song selection. Therefore, I have chosen an incredible cover of a classic Led Zeppelin rock song by two of the most vibrant women in rock n’ roll: Heart! I wish the video had the actual footage of them performing the song; however, it is incredible and a great pairing with the rockin wines of Breaux and the two incredible women who are leading the charge! Get your own bottles of Breaux Vineyards wines and let me know what song you would pair with them. Cheers! Any chances to use dripteez, yet? Very interesting Christi. I will look for the radio show. You will see Dripteez a few times this week on social media then in upcoming blogs! Cheers. Love the label! Love “rock and roll”! I haven’t been out to Breaux in at least a year . . . need to put it on my summer “to visit” list! Hated that I had to miss the VA Wine Chat. Hopefully, I’ll be able to join in next month! Cheers, Michelle! Looks like a beautiful vineyard, the song selections is fantastic too!! VA wine is one I don’t have much experience with, have been wanting to try the Trump wine just for kicks, heard it’s not bad. I love VA Wines. I have had many and all have been good. It is a growing wine region. I wish their production and distribution was better but it is improving. If you come across VA wines try them! Trump wines are good. 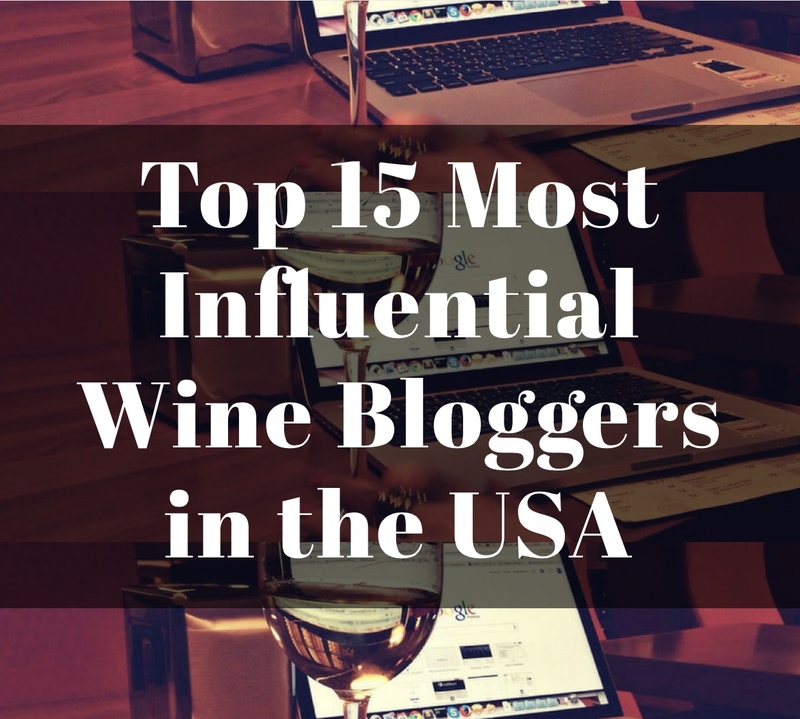 Here is the link to my article on their wines last winter. https://rockinredblog.com/2014/12/24/the-holidays-are-fine-with-trump-wine/ Glad you like the song. The Heart sisters are awesome! Thank you Stefano. Glad I can help educate you on the South. 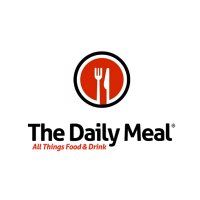 Now you must visit so you can try some “mud bugs” for yourself! Cheers.